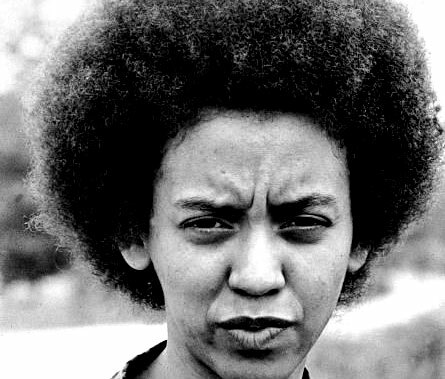 Yolande Cornelia “Nikki” Giovanni is not just one of the world’s greatest poets, with a legacy of profound and funky work, but a scholar with deep community interests and focuses. As a Distinguished Professor of English at Virginia Tech in Blacksburg VA since 1987, she trains future leaders in the literature of the mother tongue. As the author of over 30 books, she shares the beauty of poetic language with readers far and wide, having done so for over four decades. The above photo is drawn from the session for her first volume of work, Black Feeling, Black Talk, published in 1968, the year she turned twenty-five. Unlike many poets, however, Giovanni, right, has long had an interest in reaching children. Her first book of verse for them, Spin a Soft Black Song, was published a mere three years after her first volume, in 1971, two short years after giving birth to her only child, Thomas Watson Giovanni. Nikki Giovanni has had a long and varied career, appropriately honored with accolades from admirers as diverse as TV host Oprah Winfrey, whose hailed her as one of twenty-five “Living Legends”; to singer Teena Marie, who name-checked Giovanni on her 1981 hit, “Square Biz”; to biologist Robert Baker who, in 2004—no joke—named a West Ecuadoran bat he discovered, three years earlier, after her. 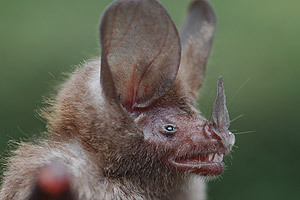 Micronycteris giovanniae, which means meaning “Giovanni’s small night flyer,”looks much like the cuddly fellow above. “I enjoy reading her poetry and I come from the Deep South, so I really can appreciate what she has done for race relations and equality,” the professor explains. 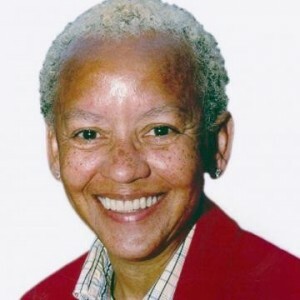 Nikki Giovanni is the guest today on my WBAI-NY / 99.5 FM radio show, NONFICTION, this afternoon, Friday, July 31st, at 2 pm ET. This is a Miami street, and, from what I hear, people walk around in all states of dress, or undress, this time of year. My question, though: Does her bag really go with that outfit? “Your time is UP, Mr. Bond! When this bomb detonates, you will DIE! HA HA HA HA HA! HA HA HA HA HA! Not only does the Saeco Etienne Louis espresso coffee machine make a great cup o’ java, but, as a neat bonus, it looks like a sci-fi movie prop thermonuclear device. 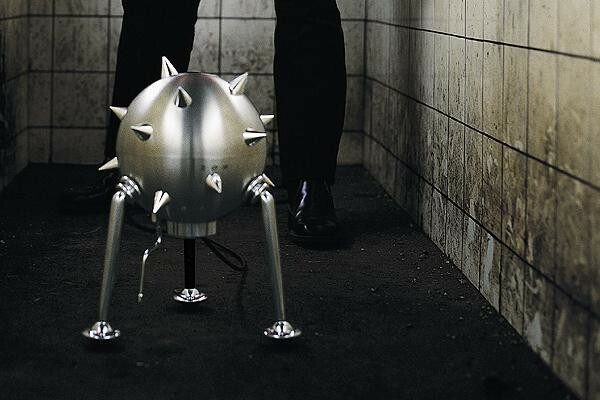 The cover of Etienne Louis is a ball made of polished stainless steel from cast aluminum – the foot is taken and the surface of aluminum peaks occupied. All aluminum parts are polished. The upper half of the sphere is removed, your under the water tank to be removed also. Uh, yeah, right. No price has been given yet, but is any cost too much to both sooth your friends’ taste buds and terrorize them? Not TRON To Feel Your Legacy. 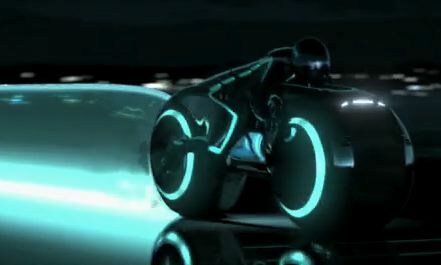 For the recent Comic-Con, Disney released light cycle footage, above, from the upcoming TRON: Legacy, the 2010 sequel to 1982′s geek classic, TRON. So why am I not feeling the new stuff? Take a look for yourself, below. First, the original trailer, then their visual effects test. 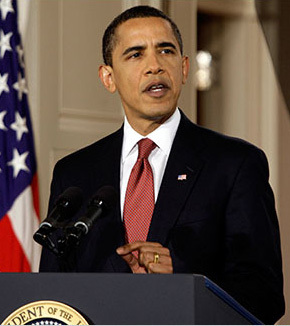 Not as “Stupidly” as You Think: Obama and the Mistake People Most Often Make Talking About Race. That quote quickly became the one most widely reproduced, as I knew it would, eclipsing the visibility of almost anything he’d said in his preceding press conference, ostensibly about health care reform. 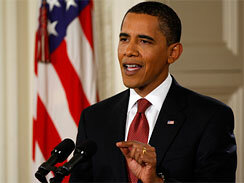 I remember the exact moment I heard Obama utter those words. It was as though someone had played a horrible chord. While the statement was the closest he apparently went to expressing any sort of a feeling about the Gates incident, I immediately knew those words wouldn’t go down well at the police station. As most certainly realize by now, they didn’t, and Obama had to subsequently retract them. “I could’ve calibrated those words differently,” he said, right. Back Before He Got Busted: Talkin’ ‘Bout Race with Henry “Skip” Gates. Of course, these days, Dr. Gates has notoriety of a wholly different magnitude, as a result of being arrested, a little over a week ago, Thursday, July 16, 12:44 pm, by Sgt. James Crowley of the Cambridge MA police department, inside Dr. Gates own home. 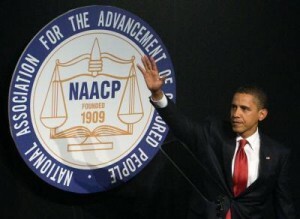 (By the Blackest of coincidences, it was the same day President Obama would address the NAACP, in celebration of their 100th anniversary.) 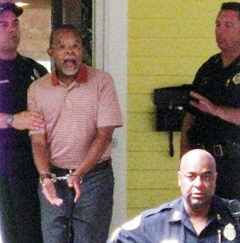 After a passerby saw Gates trying to break into his own yellow, clapboard house—the front door was damaged and stuck—the woman called the police and, after a verbal confrontation in Gates’ home, he was led out of his own door, above, and off of his own porch, in handcuffs. Supposed the conflict had escalated, and Gates had been beaten, wounded, shot, or killed? How would this have then played out? Would it have been just another parade of somber white faces and furious, stunned Black ones? How would the story of what had happened have been told, and by whom? I wonder how that Black cop, in the foreground, above, feels. Bet it’s not a party for him, either. Did you know that Black cops are nine times more likely to be shot by a fellow white officer than a white cop is? When Gates and I met to talk about his then latest book and documentary, America Behind The Color Line: Dialogues with African-Americans, those questions were certainly as far away from his mind as Cambridge is from China, that being the country from which he’d just returned that fateful day. He was late to my interview. But better late than never. 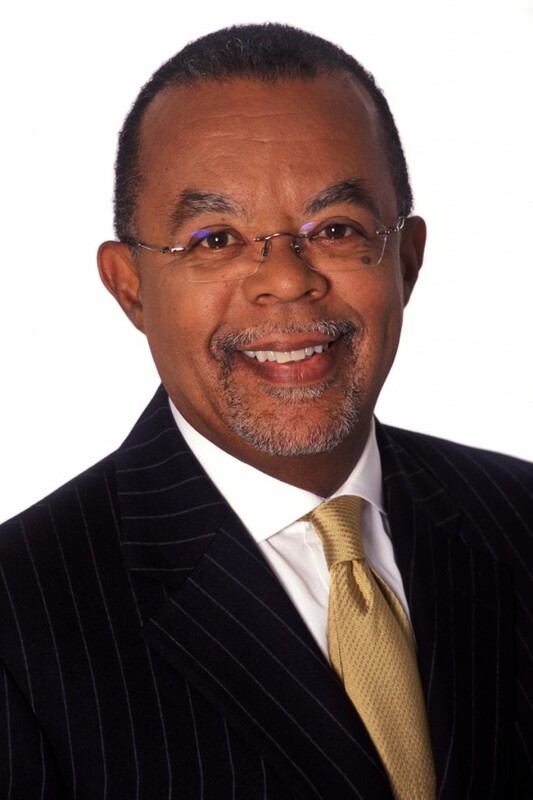 Dr. Henry Louis Gates is the guest today on this repeat edition of my WBAI-NY / 99.5 FM radio show, NONFICTION, this afternoon, Friday, July 24th, at 2 pm ET. You can hear his ideas by tuning in at 2 pm. If you’re outside of the New York tri-state, check out our stream on the web. If you miss the live show, dig into our archives for up to 90 days after broadcast. A Dumb Speech for Dumb People. 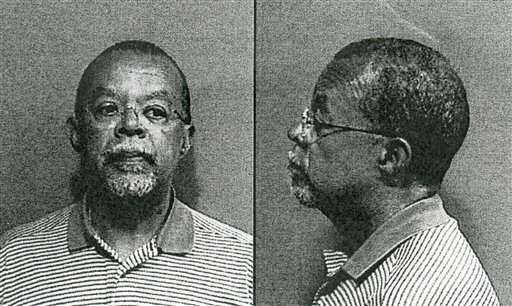 He said that “the Cambridge Police acted stupidly,” that quote being the one which, subsequently, was the most widely reproduced, and, to this writer, the one that came the closest to expressing any sort of a feeling or passion about the incident on his part. Showdown with a Grizzly Bear. 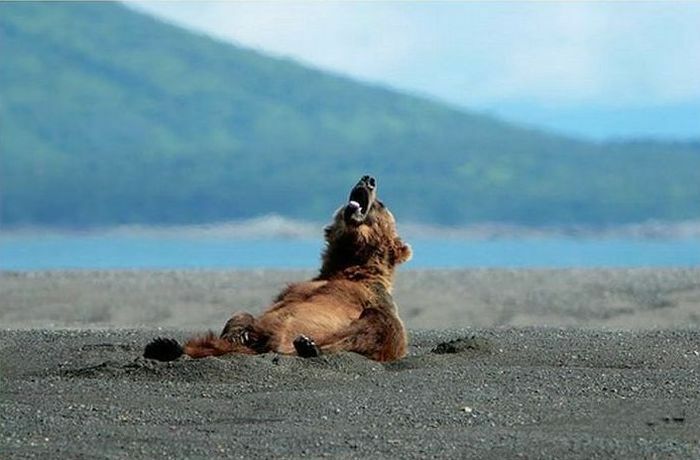 It’s said that you should never surprise or startle a wild grizzly bear when it’s sunning itself. So, what did this animal, above—equipped by nature with razor-sharp teeth—do when it caught sight of a nearby human being, armed only with a camera? Let’s just say the action involved its massive claws. It’s the next image in this two-picture series, below, after the jump. 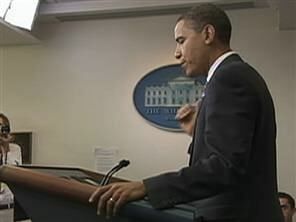 In a moment, you’ll know why MEDIA ASSASSIN had to hide this photo from plain sight. You know hip-hop is in a quandary when rappers with fortunes as disparate as Jay-Z’s (“D.O.A. : Death of Auto-Tune”) and Black Moon’s Buckshot’s, above, are crying for profound artistic change. With the addition of the culture’s grand oak, KRS-One, to the fray, however, we now have a call for reform with true moral weight and undiffused authority. 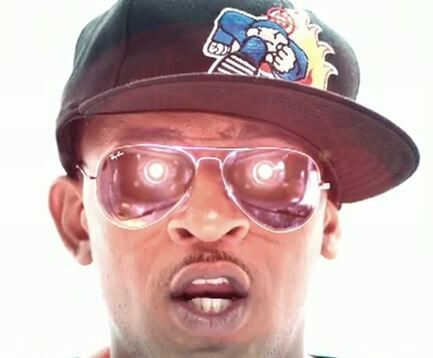 That siren sounds loudly on KRS and Buckshot’s lead single, “Robot,” from their upcoming album, Survival Skills. Against director Todd Angkasuwan’s sparse digital vistas, the video portrays the duo as last men standing in a music world gone wholly fake, one filled with genetically spliced rappers and synthetic video dancers. Keeping with their theme of order-obeying, mechanical men, there’s even a brief cameo from Optimus Prime, though, thankfully, none from Skids and Mudflap. Check it out, below, and then peep their brief “making of” feature.